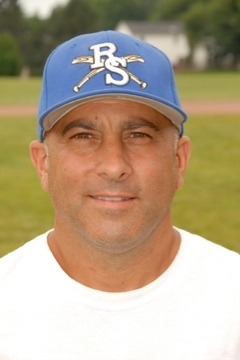 Coach Pete Annunziata has been coaching at the Rising Star Baseball Camp since 1999. Pete Annunziata is the Head Varsity Baseball Coach at New Rochelle HS. Previous to becoming the head coach in 2008, he was an assistant coach since 2001. Coach "A" also is the head coach of the NRHS fall/summer team(s) that competes in the WBA. In 2012, Coach Annunziata was selected as Conference Coach of the Year as his Huguenots team advanced to the sectional quarterfinal game versus Fox Lane HS. As a high school athlete, played varsity baseball at Eastchester HS under legendary coach Dom Cecere. Also lettered in basketball under current NBA coach Ron Rothstein. Starred on the Pleasantville Red Sox (WRBL) at shortstop and second base as sparkplug of the team. Coach A was also a team member of the New York Monarchs and Eastchester Eagles of the WBA. Coach Annunziata is a middle school teacher at Our Lady of Emaculate Conception in Eastchester. Also, as an adjunct professor/teacher at Iona College, Coach Annunziata is very familiar with the New Rochelle community. Resident in New Rochelle, New York. His siblings are Lisa, Tina, and Ralph. His nephews Billy and Peter have attended Rising Star Baseball Camp since 2006. Enjoys travel, tennis, and fine dining.